Pralines are a buttery, crispy candy made with brown sugar and pecans. 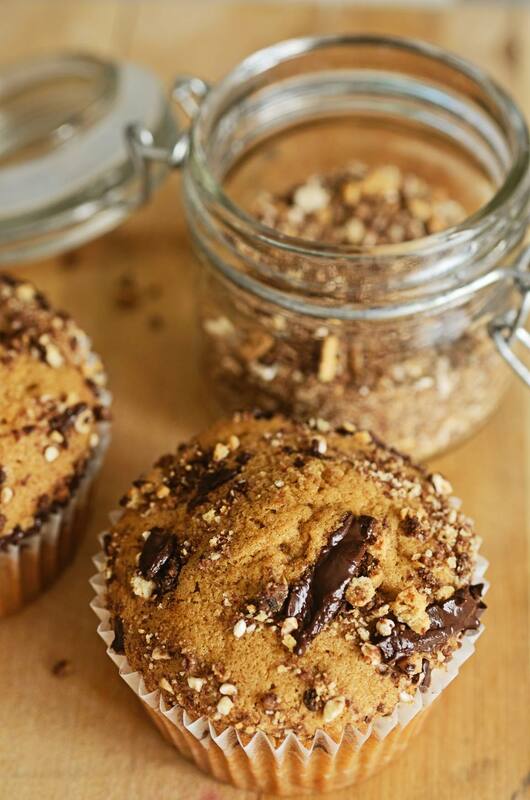 These praline muffins take the best flavors of the traditional candy and turn them into a delicious and decadent baked good. Drizzle the simple sugar glaze over the tops of the muffins and you're ready to serve. Pre-heat the oven to 375 F and grease 14 to 16 muffin cups or line with paper muffin liners. In a small saucepan, heat butter over medium heat until lightly browned; remove from heat and cool completely. In a bowl, mix cooled melted butter with milk, eggs, and vanilla extract. In a mixing bowl, mix together flour, sugar, baking powder, and salt. Make a well in the center of dry ingredients; pour in milk and butter mixture. Stir with a fork until dry ingredients are just moistened. Lightly blend in chopped pecans. Do not overmix. Spoon batter into prepared muffin cups or liners, filling each about 3/4 full. Bake praline brown sugar pecan muffins at 375 F for about 15 to 20 minutes, until nicely browned; transfer to a rack to cool for about 5 minutes. Mix together glaze ingredients; drizzle over warm muffins. Let muffins stand until glaze has set and serve.